Here’s the thing – I have worked with probably dozens of clients in the 7 years I have been in business, but they were not always a perfect fit for me. 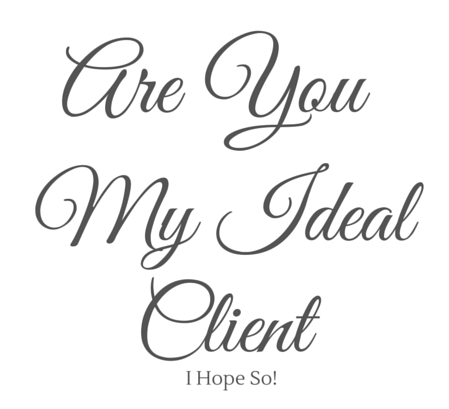 I really want to help people, but I need for my clients to also see the value that I offer. 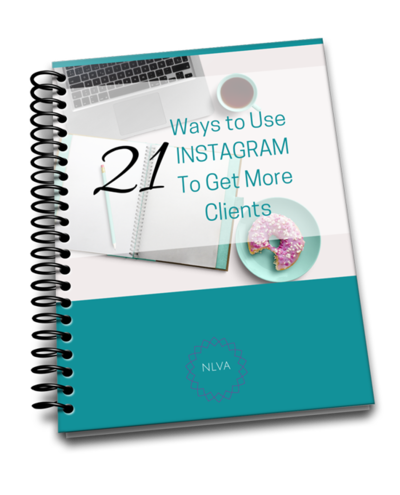 And more often than not, I took on new clients because at the time we connected I either needed the money – you know to eat and stuff – or they were a referral. You would think getting referrals was a good thing, but not if the person you were referred to wanted a discount right off the bat, OR they asked you to do things out of the scope of the agreed to package. As a virtual assistant – and I kinda hate that term. I felt as though I was always viewed as just that – “an assistant” and was expected to do all kinds of things that I really wasn’t all that interested in doing including things that were outside the scope of the agreed upon project. 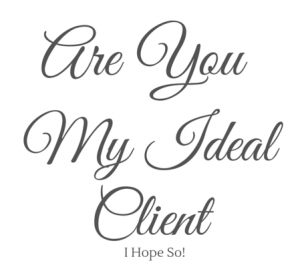 Clients tended to treat me more like a employee, rather than a business owner or partner. That led me to work with people who, I really did like, BUT they always wanted a discount, made me feel bad about what I was charging, or worse – asked me to literally account for every second I did work on a specific project. NOT my ideal client. So if you want to work with me understand that I bring close to 22 years of administrative experience to the table – which means my corporate background serves me well. I can learn just about anything, I am used to getting projects done on TIME, within BUDGET and PERFECTLY (or as close as I can possibly get). I also have 10 years of online experience and invest in my own training by working with coaches, attending seminars and live events. I know online commerce is ever evolving, so there is always something new to learn. And I LOVE THAT. I also love “tech” projects – so if you need a new website, you need me to set-up your autoresponder, or geeky things like that – I am your Girl. I don’t set-up files, I don’t update contact lists, I don’t create PowerPoint documents. Can I? ABSOLUTELY. Do I want to? NO! I have learned the hard way that I only want to work on the projects I enjoy and that means finding clients who can offer that type of work. You get me? I am pretty chill. I love to learn about you and your business and we can be “buddies with boundaries”. This means you respect my time, and don’t ask for anything you haven’t paid for. In return, I will be clear with my communication, will stick to deadlines and you will get exactly what you asked for. If you like my site design – I can create something similar, or completely custom. I also have a beginner to intermediate level graphic design background, which means I can edit existing images and create some cool ones for your site too. I LOVE social media and have mastered some pretty awesome ways to expand and grow your network. A new skillset is SEO. I just finished an amazing course and I am looking forward to helping to drive targeted traffic to your website, specific offer pages and more. So that’s me. If you think you can work with me and want to have a chat, sign up for a 30 minute strategy session. They are all done in the evening, because I work for a living, and are at your convenience. Bring specific questions and let’s see if I am a good fit for your business.